We expect a lot from students here at Eagle Rock School, and we make no bones about ensuring these expectations are understood and accepted. In fact, we even call them the “5 Expectations” so that every student leaves here as a productive, engaged citizen, ready and willing to make a difference in the world. Today we’re going to focus on No. 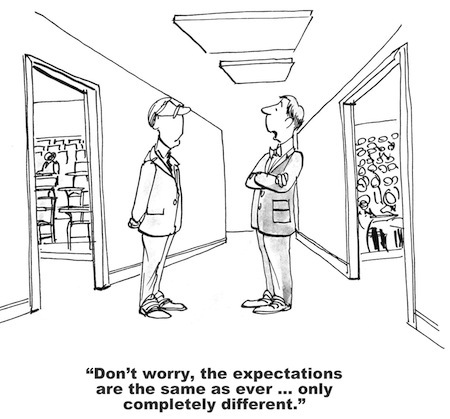 2 of these expectations: Expanding Knowledge Base. One of our expectations for all Eagle Rock students is that they will acquire the skills necessary to become independent learners and problem solvers. Traditional math and English courses often fall within this expectation. In our math classes, this expectation is usually tied to a specific content area such as algebra, geometry, probability, statistics or calculus. Within these areas, many math courses at Eagle Rock revolve around specific real-world situations. For example, exploring gambling games and how probability factors into that casino floor equation. Others include how to research and interpret (data analysis), how to predict outcomes (statistics), and how to hide things (cryptography). Within many of Becky Poore’s math classes, final projects are assigned for the purpose of assessing what’s been learned and offering students the opportunity to demonstrate and showcase the skills they’ve acquired. For the gambling example above, from a math class on probability, students are expected to expand their knowledge base by creating their own game of chance. They say a shark in the ocean must constantly swim in order to survive, and the same concept holds true for educators. If they’re not consistently exploring new ideas, receiving feedback or learning new teaching techniques, they’re shortchanging the students in their classrooms. 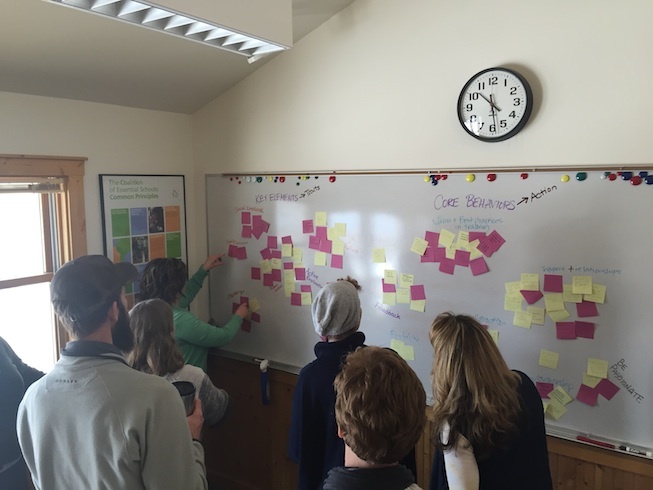 A few years back, some of our staff members did heavy research on continuing teacher education, in addition to studying the findings from other schools concerning the implementation of instructional coaching. The idea was to provide support for our fulltime instructional specialists here at Eagle Rock School as well as our annual group of teaching fellows. As a result, we piloted a new instructional coaching position for the 2014/15 school year in advance of welcoming welcome six new fulltime instructors in addition to our annual influx of a dozen new Public Allies fellows. Janet Johnson, our science instructional specialist, became our first instructional coach, and she performed that fulltime task in impressive fashion for the year, while Sara Benge stayed on for a second year Public Allies fellowship to help with our science instruction. Janet worked closely with our six new teachers throughout the year and set up coaching cycles, a new teacher Critical Friends Group, and informal supports and check-ins throughout each trimester of the academic year. Since it was our pilot year, Janet had the opportunity to explore new ideas throughout the year, making time to meet with more experienced teachers, and some of our teaching fellows, acting as a resource and a thought partner in their practice. For Christi Kelston, this month brings a fresh crop of Public Allies Fellows — the first to start under her direction since she became Eagle Rock’s new director of Public Allies this past spring. Christi joins everyone else here at Eagle Rock in welcoming our 12 new Public Allies Fellows. Funded by AmeriCorps, Public Allies believes that everyone leads, and that everyone can work to inspire others to believe in themselves, step up to the plate, and take action. 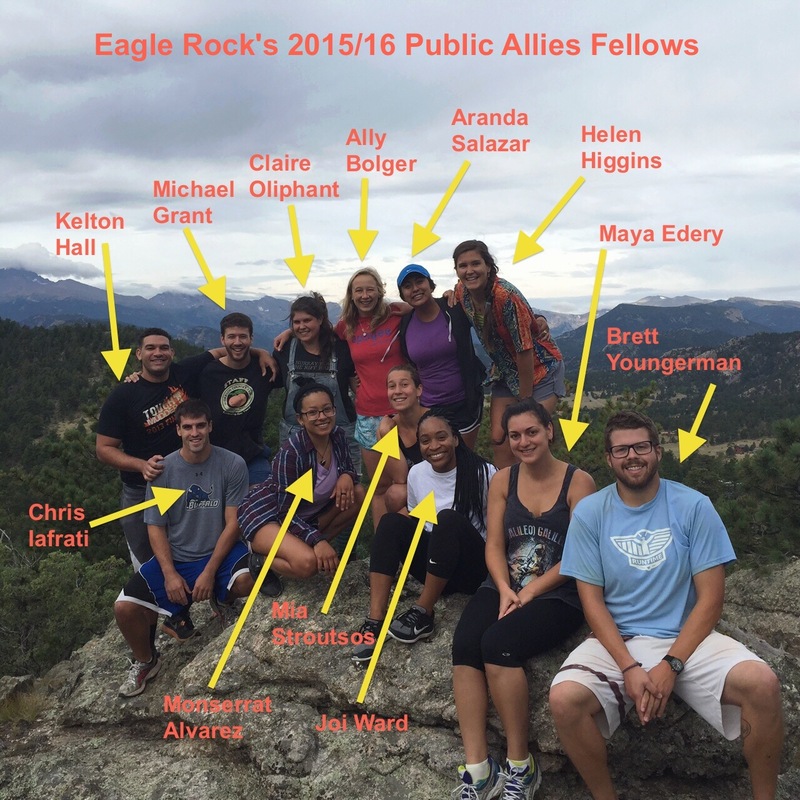 Here at the Eagle Rock School and Professional Development Center, we’ve been active participants in Public Allies, hosting a dozen Fellows for a year of service at our mountainside campus in Estes Park, Colo. In fact, we’ve sponsored more than 150 Public Allies to date, with the number successfully completing the program in the upper 90th percentile. As a result, Eagle Rock’s program is the most successful in the nation when in comes to retention of our Fellows. Take a look at the profiles below, and if you happen to spot one of these Public Allies at a conference or training, be sure to say hello and ask them about their Eagle Rock experience. 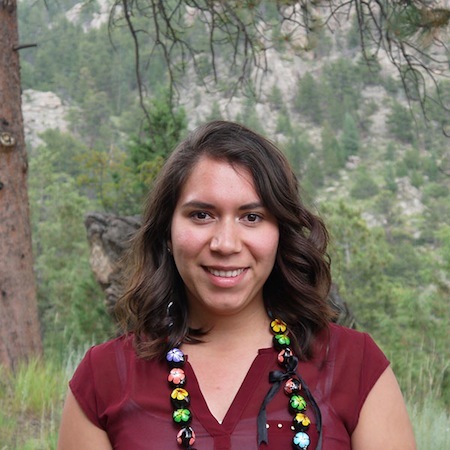 Monserrat Alvarez, Outdoor Education Teaching Fellow: While studying religious and nonprofit studies at North Carolina State University in Raleigh, N.C., “Monse” also worked with the outdoor programs through the university. Most recently, she worked the summer season with North Carolina Outward Bound School at its Table Rock base camp. Raised in Raleigh, Monse loves backcountry adventure, cooking up her grandmother’s recipes and spending her free time with her mom and little brother. 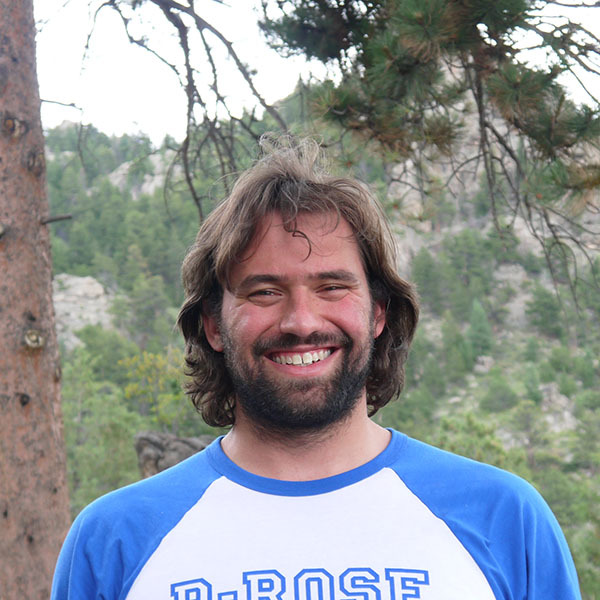 Ally Bolger, Science Teaching Fellow: This New Jersey native studied geology and Russian at Colby College, in Waterville, Maine. This summer, Ally led backpacking trips across Europe with Apogee Adventures. In her free time she takes part in long-distance bicycle tours, skiing in all its forms, hiking, exploring new places, spending time with people, cooking and eating ice cream.